Deracine is an original game by the Japanese studio From Software, known mostly for the Dark Souls series. Deracine is an adventure game developed for PlayStation VR headgear. You play as a magical fairy, who was summoned to an all-girls boarding schools. Deracine is an original adventure game developed for PlayStation VR headgear. The production's director is Hidetaka Miyazaki, the president of From Software, co-creator of such games as Demon's Souls, Bloodborne, Dark Souls, and Dark Souls III. The production was also co-created by the developing team of Sony. 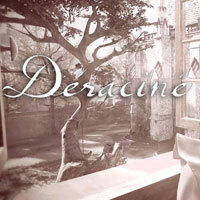 In Deracine, you play as a little magical fairy, who was summoned by a teenage graduate of an all-girls boarding school. Your task is to prove your existence and build a relationship with six students by interacting with the environment. The fairy can manipulate life and time, which can be used to change the NPCs' fate.